If you had seven blog posts and I took away seven, how many would you have? If you had two Batmen and I gave you four more, how many would you have? Afterwards, if I gave you eight more Batmen, how many would you end up with? Not so long ago I went to YouTube looking for the opening to the first season of Buck Rogers in the 25th Century, which I consider to be the greatest opening in the history of television. Cheers is second, but I really dig Buck's building orchestral march while Gil Gerard falls through a stack of vinyl records. Rock on! It turns out that the season 1 opener (featuring Cannon's William Conrad voiceover) — which is distinctly different from the season 2 opener (featuring Quinn Martins' Hank Sims voiceover) — is kind of hard to find. I assume that's because Universal has some sort of problem with people seeing the best part of Buck Rogers for free. My search wasn't entirely fruitless. While I was looking, I found this video which is reportedly the intro used by the movie in its original theatrical release. Like the original Battlestar Galactica, which also was released to theaters (and also created by Glen Larson), Buck Rogers debuted on the big screen in 1979. (Everyone was chasing that Star Wars money.) This James Bond-themed opening is nuts, but I have to say, Henry Silva is better looking than I remember. Anyway. I finally found the season 1 opener on Vimeo. I expect Universal will get around to ruining that, too, eventually. Meanwhile, Wikipedia has documented the text of all three narrations PLUS the slightly different narration used when the movie re-aired as the pilot television episode. Because the Internet, as storehouse of the sum knowledge of humanity, would be incomplete without that. Thank the maker! If you had two DC Comics and I gave you three more, how many would you have? If you had three lines of code and I gave you three more, how many would you have? Afterwards, if I gave you six more lines of code, how many would you end up with? Patrick Reed won the Masters golf tournament in Augusta this past weekend. I wasn't familiar with Reed, so I Googled him. 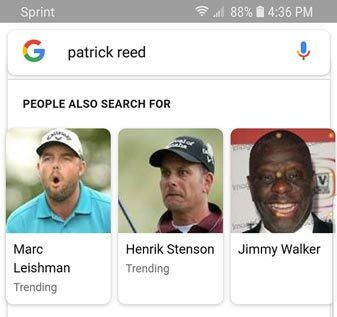 Second question: Are those really the best expressions of Marc Leishman and Henrik Stenson that Google can come up with? If you had ten toys and I took away six, how many would you have? Afterwards, if I gave you five more toys, how many would you end up with? If you had eight toys and I took away four, how many would you have? I'm just calling to remind you that Battle Bots is coming on television tonight on the Science Channel. I did not know that. I don't get the Science Channel. Of course you do. You've seen Battle Bots before. Yes, I have. And I liked it. But it didn't used to come on the Science Channel. Do you get the National Geographic Channel? The Science Channel is right next to that. I don't have the same cable provider you do. We're not even in the same state. Science Channel is 244 on DirecTV. Oh, well. I was just trying to help. You know intention is what counts. Are you saying that if the son of the President of the United States intended to collude with Russia, he's guilty even if he didn't successfully collude with Russia? What does Hillary Clinton have to do with any of this? What can I say? Some people are brainwashed. One of the two of us should be committed. I'm still not sure which. Why is Hillary Clinton always the first thing mentioned whenever something about Trump is brought up? I'm a night person, and I'm usually still working when Last Call with Carson Daly wraps up and NBC rolls over to Extra with Mario Lopez. For those of you unfamiliar, Extra is thirty minutes of light celebrity news akin to Entertainment Tonight, The Insider, Access Hollywood, TMZ, or anything that comes on E! or TLC. I rarely change channels because one, I can't feel too old if I know the names of whatever popstar tweens are listening to on Radio Disney these days, and two, there's not a whole lot on TV at 2AM. Besides, it's all harmless fluff. Usually. In recent months, Extra has been devoting a lot of time to a fellow named Tyler Henry who has a show on E!. Perhaps you've heard of him, though I hope not. Certainly you've heard of other people like him. Jon Edward had a similar show for years on the Sci-Fi channel (back when it was called the Sci-Fi Channel). Teresa Caputo has a similar show on TLC. All of these people claim to be psychic. Extra likes Henry because he specializes in "being psychic" to the stars. My problem with his increasingly frequent appearances on the show — other than thinking that he comes across as a huge douche nozzle — is that they treat him like what he does is a real thing. That's fake news! Hey, Extra, he's not a psychic, he's an entertainer. "Reality television" should in no way be mistaken for real life. Suspending disbelief is what actors like doing, but that doesn't mean we have to promote every con artist who comes preying. I half expect to see you interviewing a Nigerian prince next week. Mario, if you want to believe that Henry can talk to your dead grandmother and assure you that she forgives you for buying the cheap casket, I guess that's your prerogative. But encouraging the rubes to confuse "art" and "reality" is how this country ended up with a carnival barker in the White House. So ditch this Henry guy and get back to interviewing models about their love lives. Your grandmother's ghost and I will thank you. If you had four poodles and I took away four, how many would you have? HOSTESS, cluelessly: "What is Snapchat?" GUEST, trying not to visibly wince: "It's, um, an app that was introduced 6 years ago." 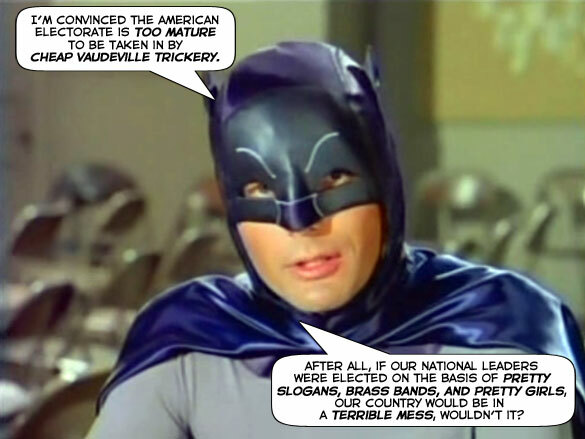 It's easy to look down on this show, but it does come on immediately after Face the Nation (the #1-rated Sunday morning news magazine). I don't have a hard time believing that the demographic watching network television at that hour has probably never heard of "the snappy chat." I will try to be less judgmental in the future. Aw, who am I kidding? Damn Luddites! If you had four novels written by James Walter Stephens and I gave you nine more, how many would you have? Afterwards, if I gave you nine more novels written by James Walter Stephens, how many would you end up with? I'm watching Atlanta Tech Edge at 1:30AM on WXIA (though I suppose it must air some other time, because who other than me watches technology news magazines at 1:30AM Sunday morning? ), and the hostess just admitted being surprised when her guest, a tech podcaster, informed her that "free" apps use data mining to strip our privacy and sell our information to other companies. Who is this show for? If you didn't know that, most of what Tech Edge talks about is probably going over your head. If you did know that, you didn't need to hear that the hostess has no idea what she's talking about. Whoa...what's wrong with the Newnan paper? Do they love Trump? Though, to be fair, Trump isn't their worst problem. They have in the recent past run editorials effectively supporting racism and are far too willing to run paid advertisements from special interest groups (especially hospitals, casinos, and the NRA) as news articles without a byline. It's really not worth reading, but I do every morning anyway because I like to wake up angry. If you had eight lines of code and I took away eight, how many would you have?